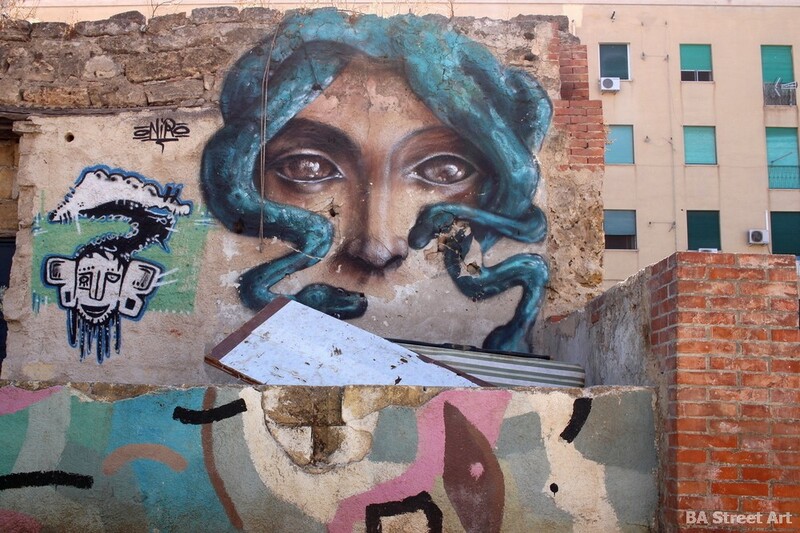 Palermo is a great place to find street art and graffiti with many works also relating to the city’s history and the mafia too, as Matt Fox-Tucker of Buenos Aires Street Art discovered. 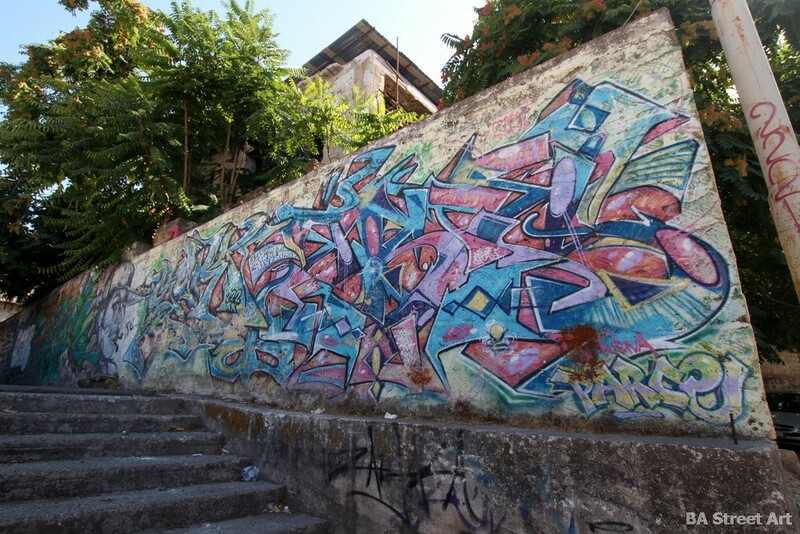 The regional capital of Sicily in southern Italy is a popular tourist destination famed for its palaces, churches and piazzas but it also has a growing reputation for its urban art with many top international street artists coming to decorate its alleyways and piazzas. 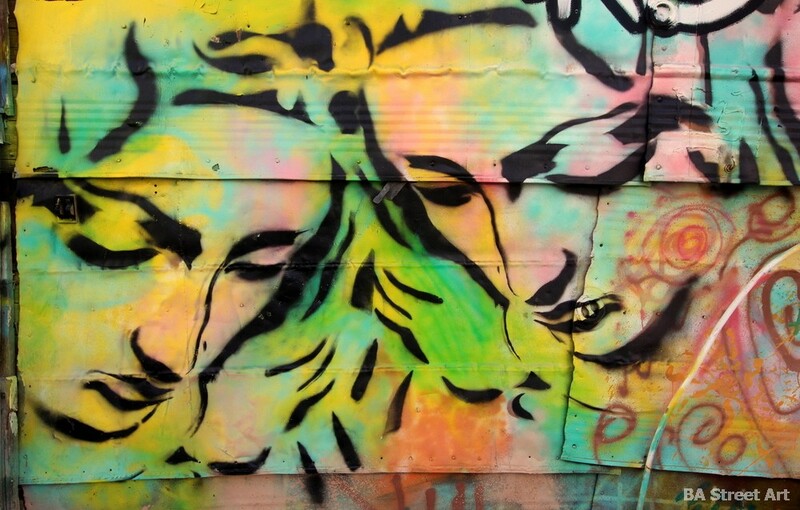 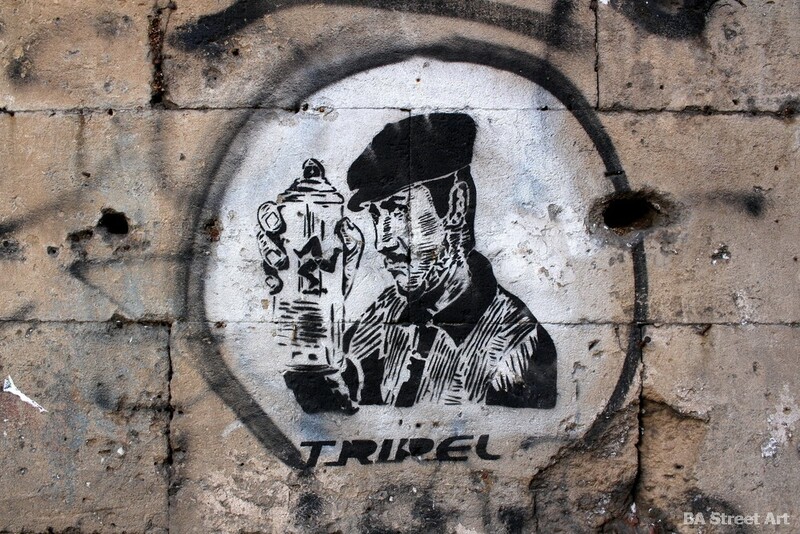 While the Sicilian mafia is in decline, street art seems to be on the up, and in particular stencil art. 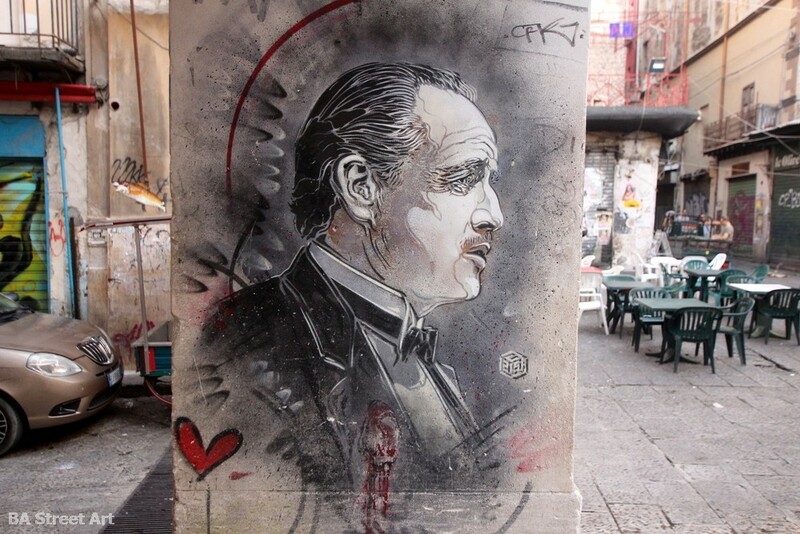 This iconic portrait of Marlon Brando playing Don Vito Corleone from the movie ‘The Godfather’ was painted by French street artist C215. 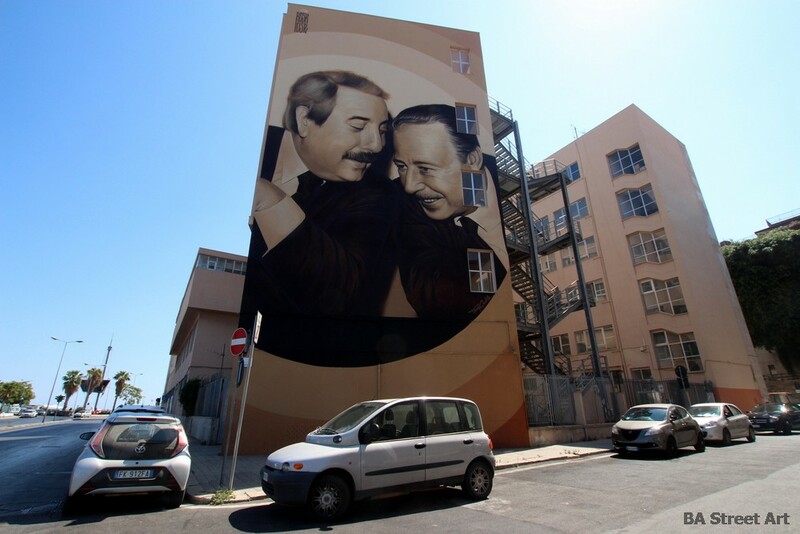 This five-storey mural by Rosk & Loste at Instituto Tecnico Statale Trasporti e Logistica is dedicated to two mafia-busting judges Giovanni Falcone and Paolo Borsellino and was completed in July 2017. 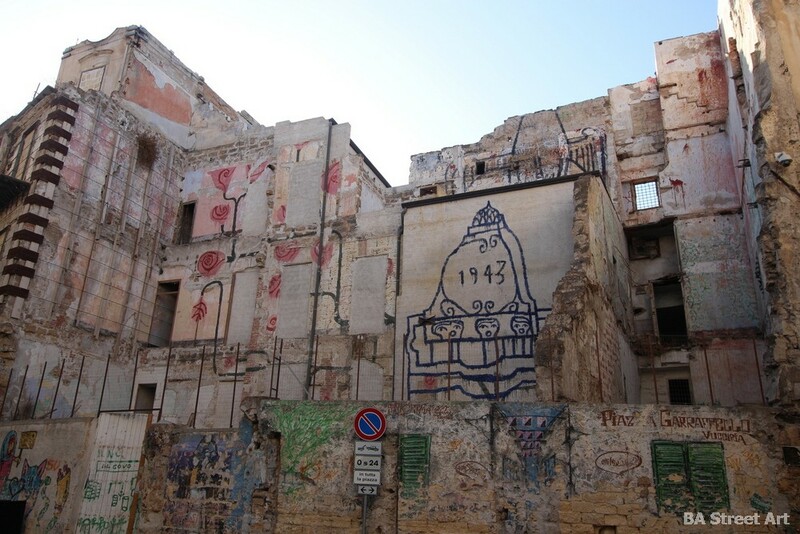 Borsellino was killed by a mafia car bomb in Palermo, 57 days after his friend and fellow anti-mafia magistrate Giovanni Falcone was assassinated in Capaci. 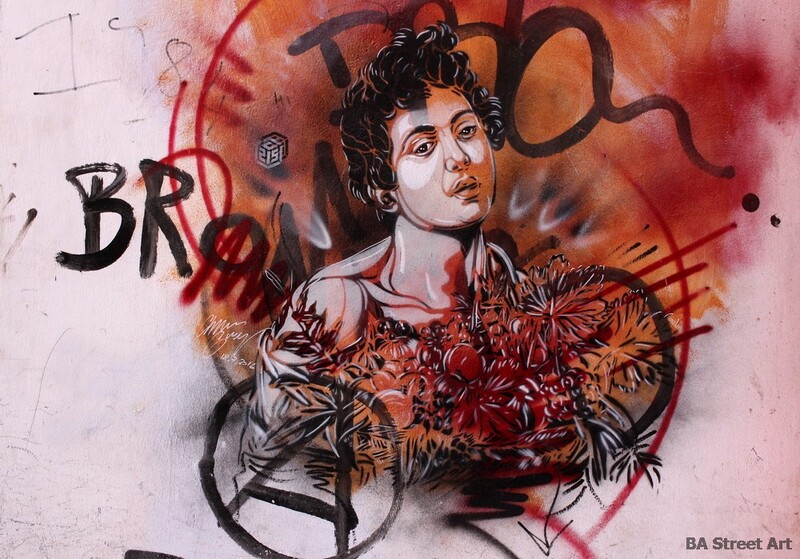 C215 visited Palermo in 2015 to take part in a project following in the footsteps of Italian master Caravaggio and painted 10 stencils around the city including this one of Bacchus. 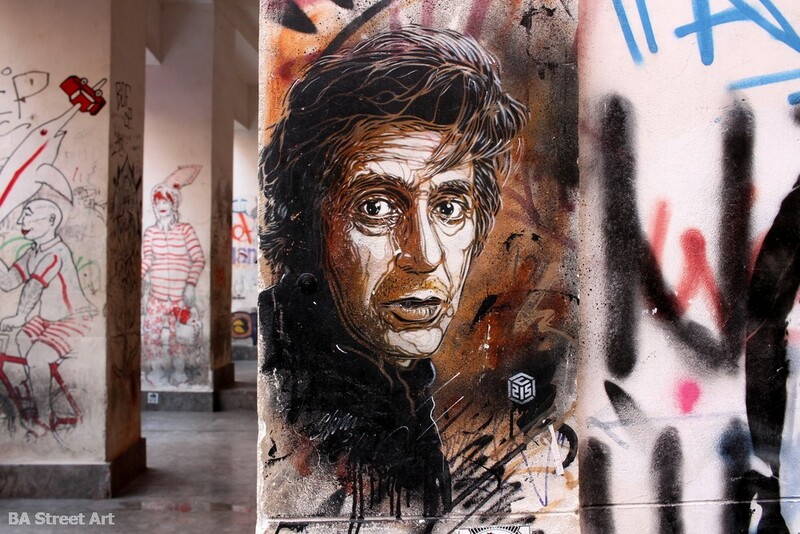 Another of the stencils by C215 features a portrait of American actor Al Pacino whose maternal grandparents are Italian from the Sicilian town of Corleone, 57 kilometres south of Palermo. 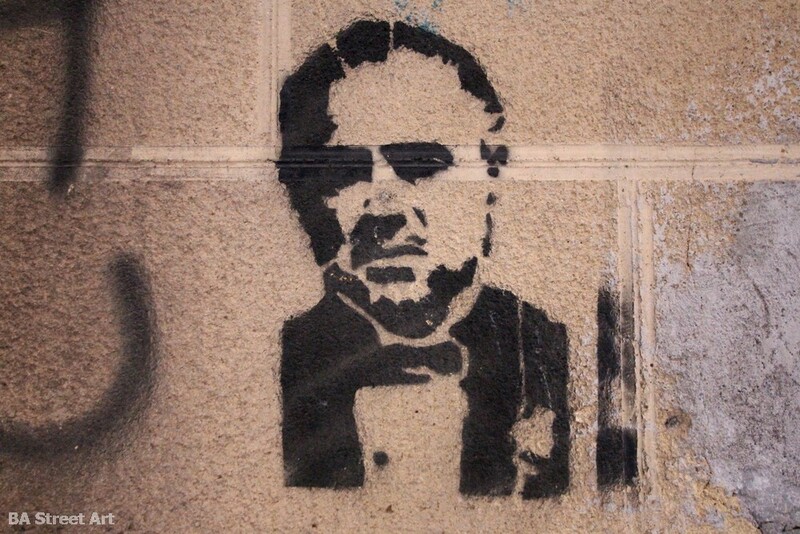 Don Vito Corleone in ‘The Godfather’ trilogy takes his name from the town. 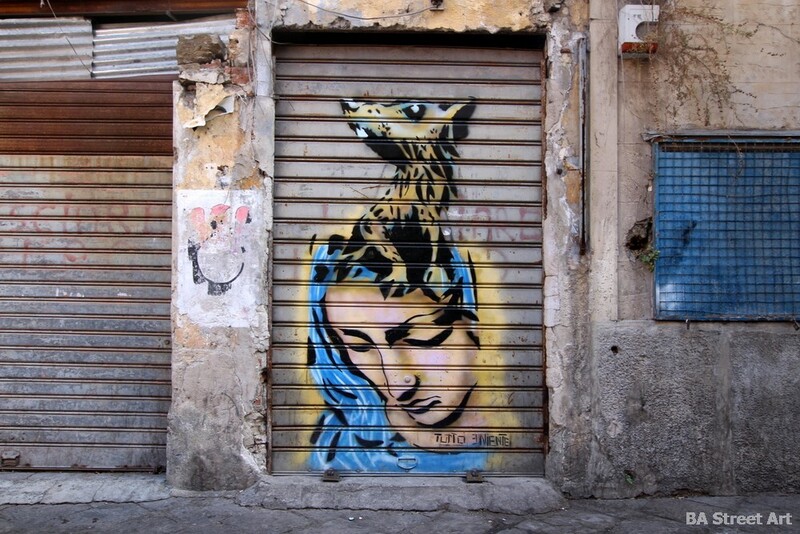 Across the street from the stencil of Al Pacino you can also see a classic cat stencil by C215. 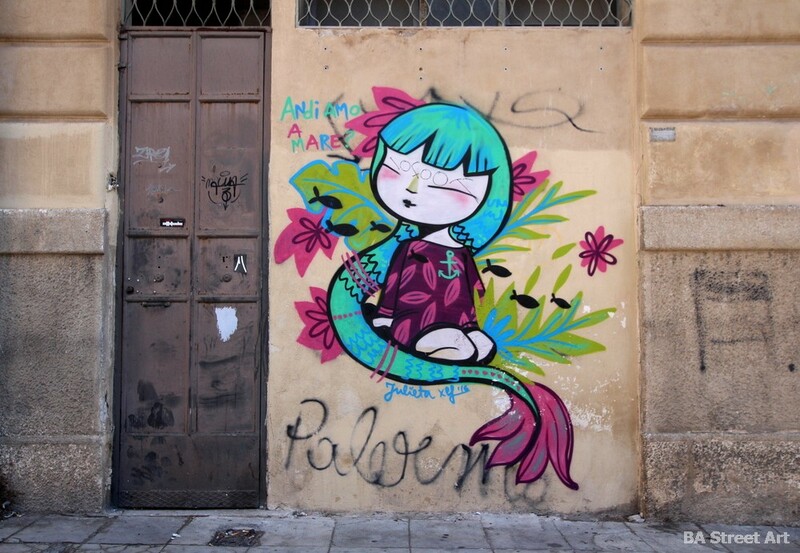 Another international street artist to visit Palermo recently was Julieta from Valencia, Spain. 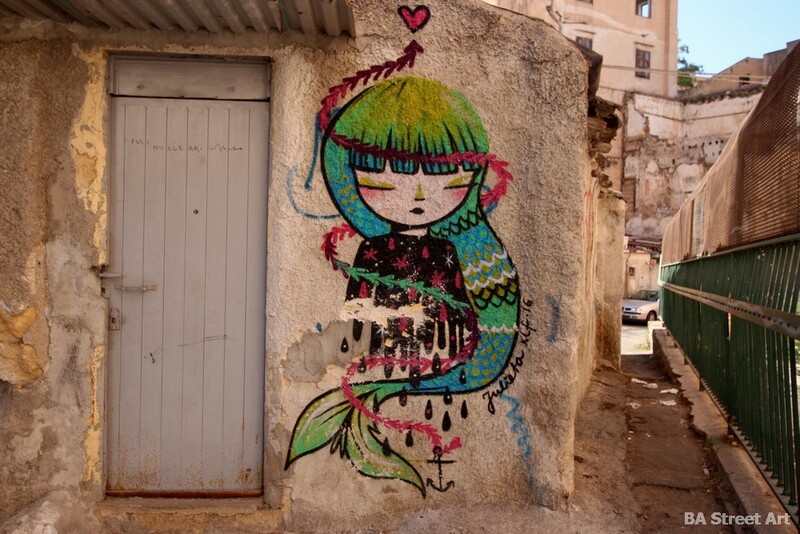 She painted a series of murals around the city in 2016. 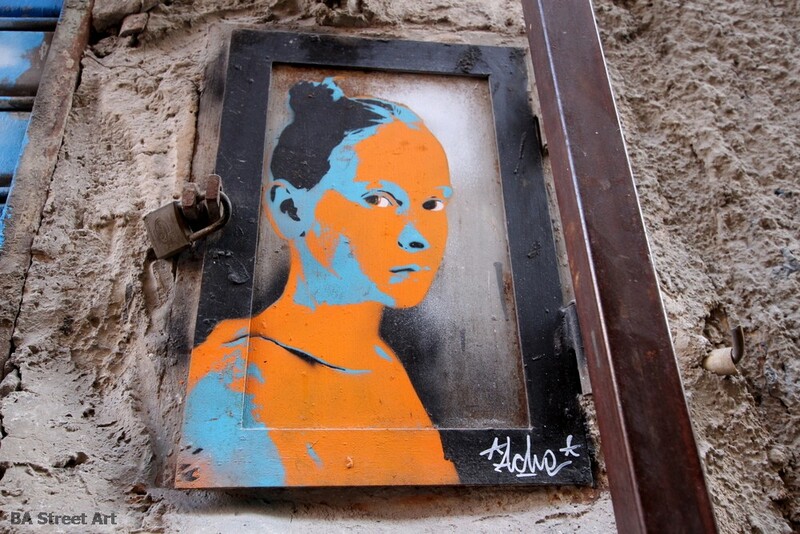 A series of stencils by Italian stencil artist Tutto e Niente featuring fragments of women can be found near Ballero market. 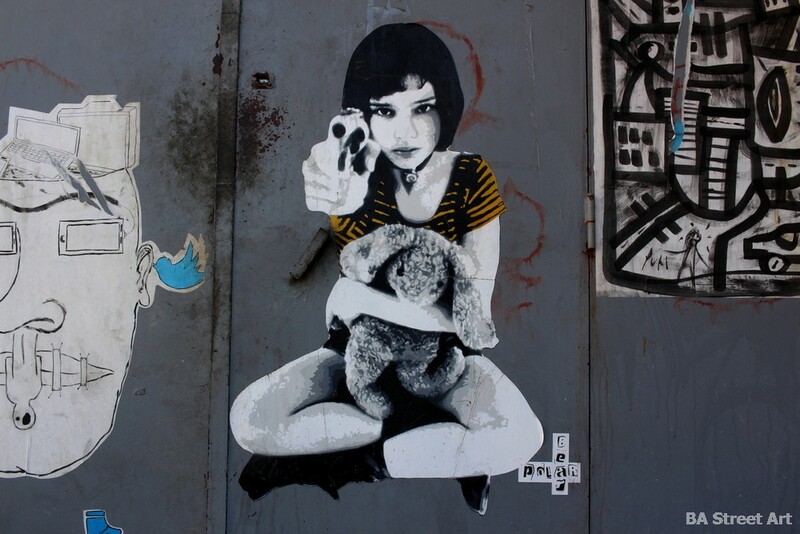 A paste-up by Bear Polar featuring Natalie Portman as Mathilda in the Luc Besson movie ‘Leon’ (‘The Professional’) can be found off Via dei Candelai. 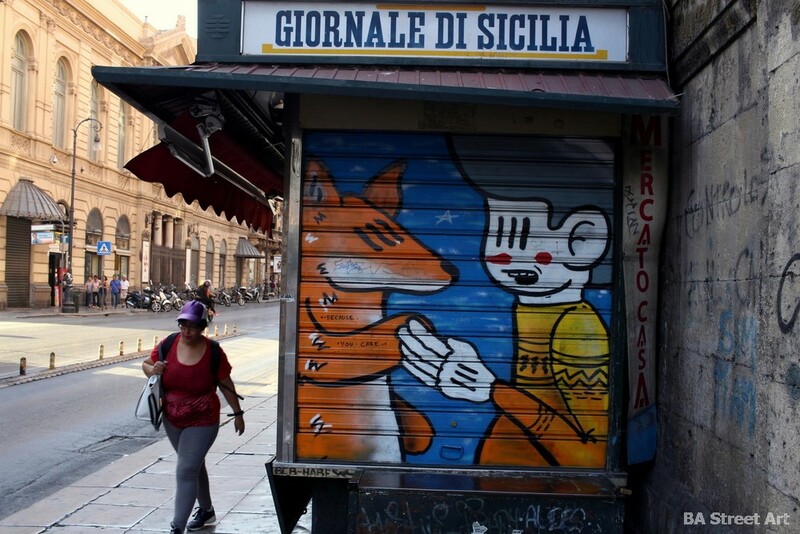 Many more stencils and paste-ups and shutters painted by local artists can be found around Piazza Garrafello and the La Vucciria neighbourhood. 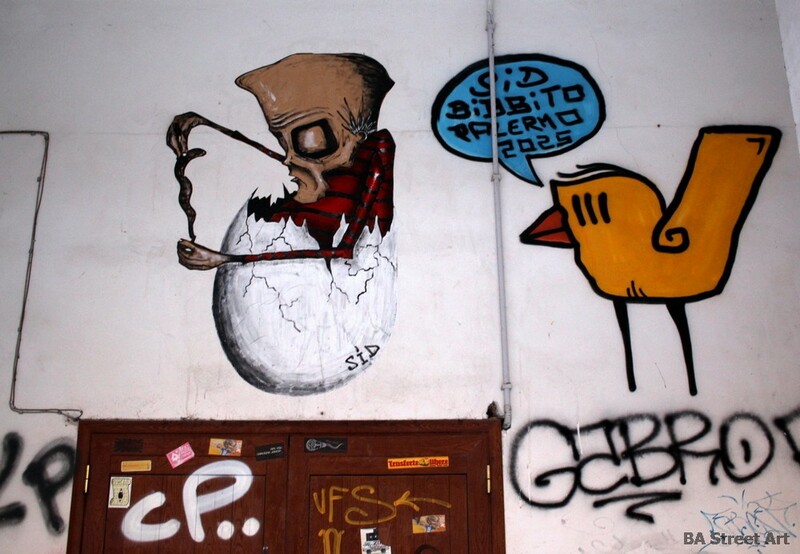 Newspaper kiosk painted by Pupo bubbito on Via Roma and Via Vittorio Emanuele. 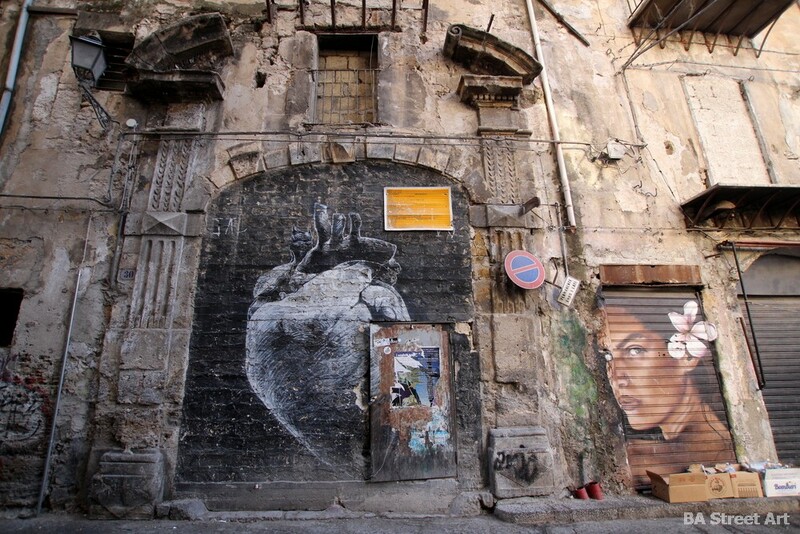 This entry was posted by admin in News, Street Art Cities, Street Art Cities Page and tagged Al Pacino stencil, Axel Void, Bacchus stencil, Bacchus street art, Bear Polar, Bibbito street art, C215, C215 Palermo, C215 Sicily, Don Corleone stencil, Giovanni Falcone, Godfather graffiti, Godfather stencil, Godfather street art, Instituto Tecnico Statale Trasporti e Logistica, Juileta, Julieta street artist, mafia graffiti, mafia street art, Marlon Brando stencil, Marlon Brando street art, Mathilda, Oniro, Oniro street art, Oniro street artist, Palermo graffiti, Palermo street art, Paolo Borsellino, Pupo bubbito, Rosk & Loste, Sicilian mafia, The Godfather street art, Tripel stencil artist, Tripel street art, Tutto e Niente.